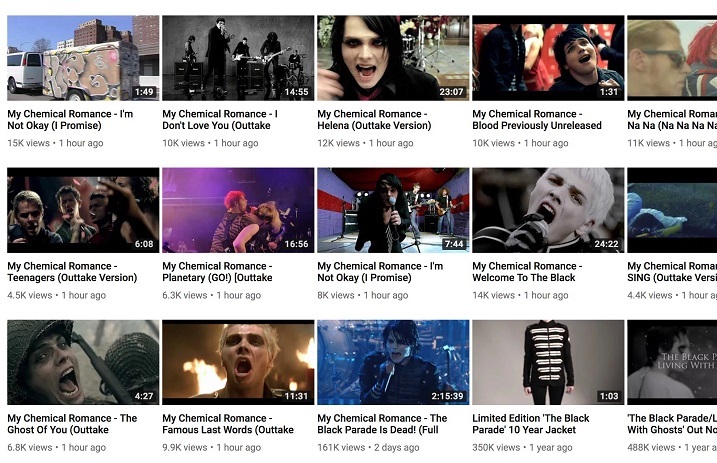 This is happening only two days after they shared The Black Parade Is Dead! on the channel. We're definitely not okay. The new uploads are music videos outtakes taken from May Death Never Stop You, MCR's greatest hits compilation released in 2014. We have so many questions, the most important being: What's going on?